Kawaii Pandah Anime Dress Up Game. Kawaii means lovable, cute, charming, innocence or adorable. Kawaii is in some way the quality of cuteness in the context of Japanese culture. 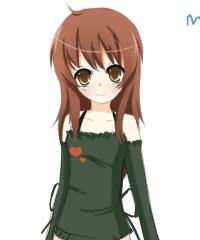 In this classic dress up game you will dress up this cute anime girl and you can add all kind of accessories. Go Play & Have Fun.